A leathery musky scent, with leather running through top, middle and base notes. The amber glass bottle is replica of an antique Viennese apothecary bottle. There are 87 reviews of Cuiron. Note: Review is of the reissue. Cuiron is a straightforward suede fragrance (my guess is suederal) with some plummy notes in the beginning, and a very soft, subtle touch of spices that are finely meshed with the suede. It is largely linear, moderately long-longasting, and has understated, discreet sillage. What I like here is the 'personality' of the scent. It is refined, contemporary (in a good way), versatile and androgynous. It retained my interest, grew on me after wearing it a few times, and lingered on in memory space. Sort of half-way between Daim Blond and something like Chanel's Cuir de Russie. An odd plum note - almost fermented. Barber shop, greenish notes. There is a quick reminder of Royal Copenhagen from the early 90's. It's a flash memory. A nice suede leather note appears as the top noise fades. Leather increases without becoming too obnoxious. Then, it fades not long after. The leather does seem to change character a bit, but it isn't very strong or long-lasting for me. The backstage of a show. A cool, professional vibe in some bright room. Glasses of water with lemon slices. Slicked back hair; hairspray. Cuiron is very light and doesn’t smell like leather to me. It smells a lot like talcum powder. Why, is it a beauty trick to wear leather on bare skin? Then soap. Coming at leather with a clean angle suits it well. Nothing dirty in this sleekness. I wish I had a bar of soap this elegant. I do own a leather jacket that smells almost like nothing, too. It also carries some hints of tobacco from some smoky place I was. But I think Cuiron is too subtle for me. I can only get excited by this re-issue thinking of original Helmut Lang clothing, all the imagery. A very basic, though effective, leather scent in the vein of oldies like Chaps, Stetson, and other "thick" leathery colognes. Initial spray-on begins with an almost unconsciousness inducing assault of plain alcohol. After 15-20 seconds, that blinding brightness eases back, and then the ingredients of this classy scent start to emerge like a moderately paced sunrise. It comes across as rubbery (like a block of brown eraser), loaded with spices, lemon peel, and a hint of musk. This then subtly transforms into the smell of a pricy leather jacket, swathed with oiled suede and rich cowhide. It ultimately stabilizes into a clean, steady expression of formal elegance befitting a man of taste and poise. Helmut Lang Cuiron is well-made with no odd turns nor fancy moves. It is warm, dark, comforting, and a wonderful masculine scent that lasts a long time and never alters its character. Soft subtle fragrance. I can see why it was a cult classic. Spicy and suedey. No leather here. There are no member images of Cuiron yet. Why not be the first? 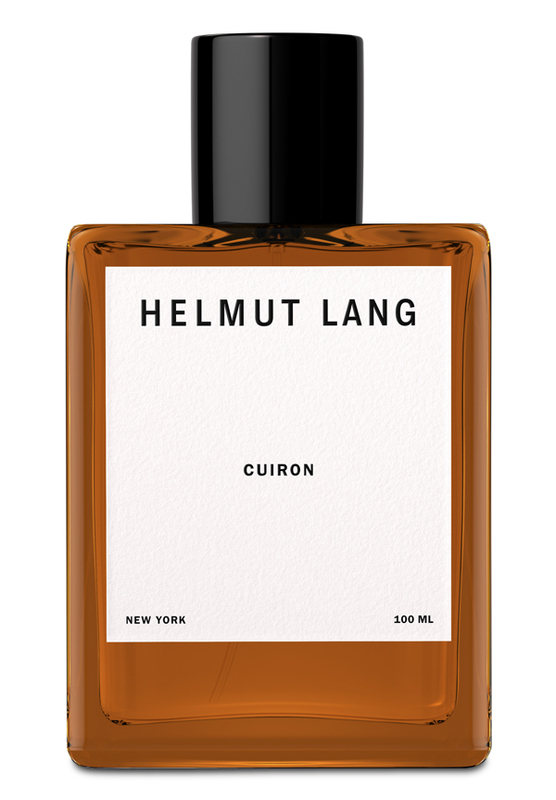 Why is there so much love for Helmut Lang's Cuiron?